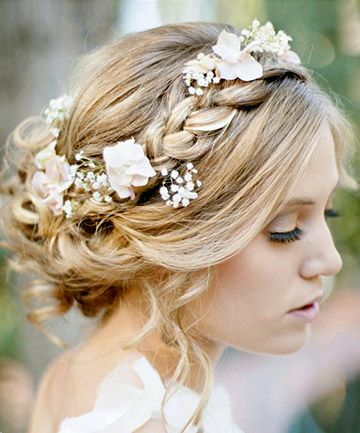 Spring is finally here and the blooming season is coming. 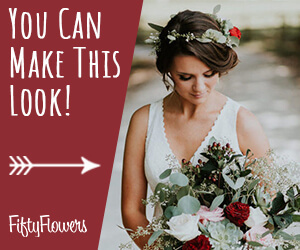 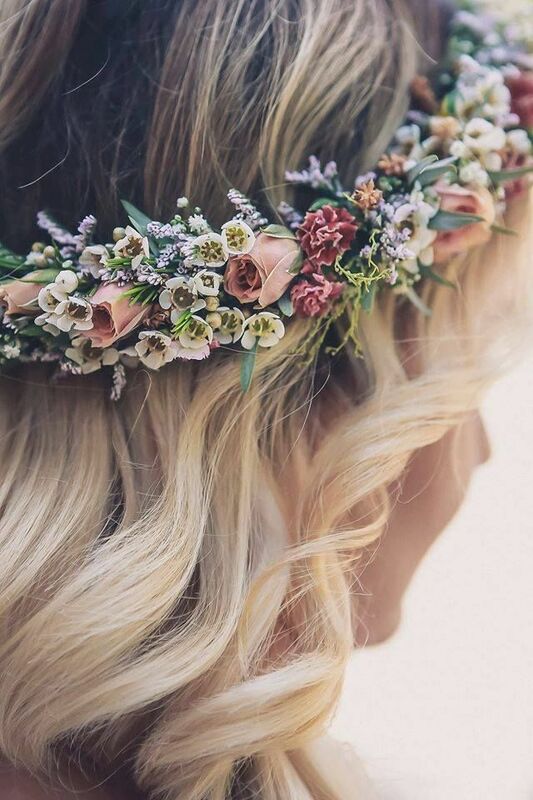 For spring brides, there are tons of ideas about incorporating flowers into their wedding, but nothing is better than wearing a floral wedding crown on the big day. 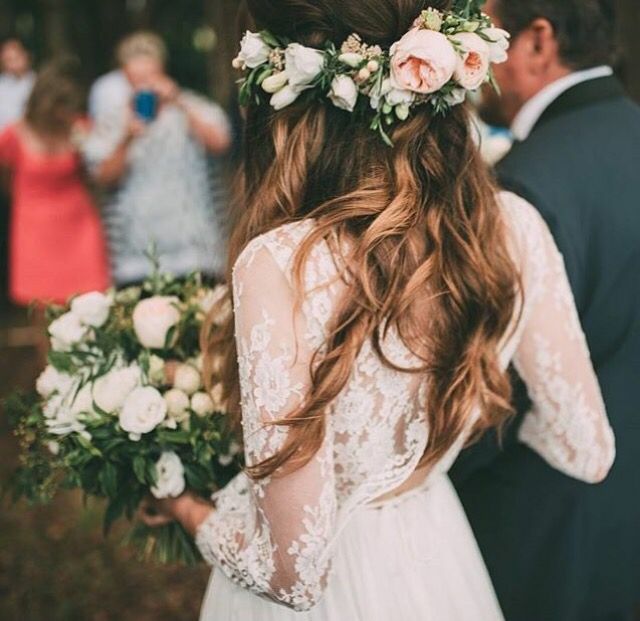 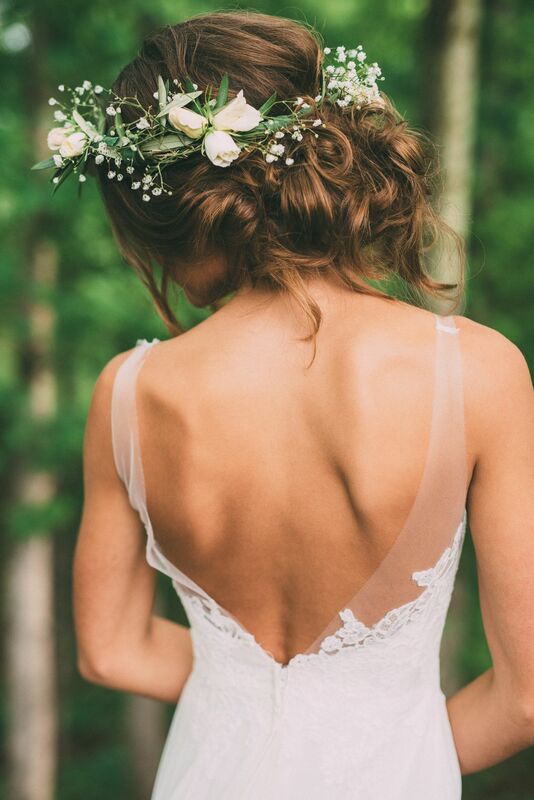 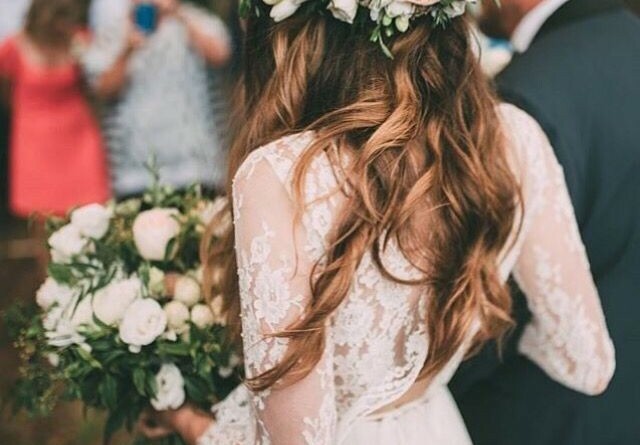 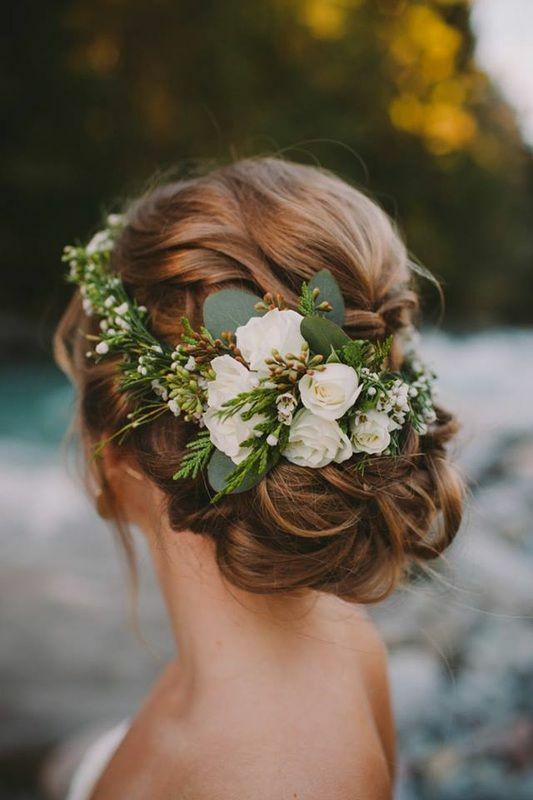 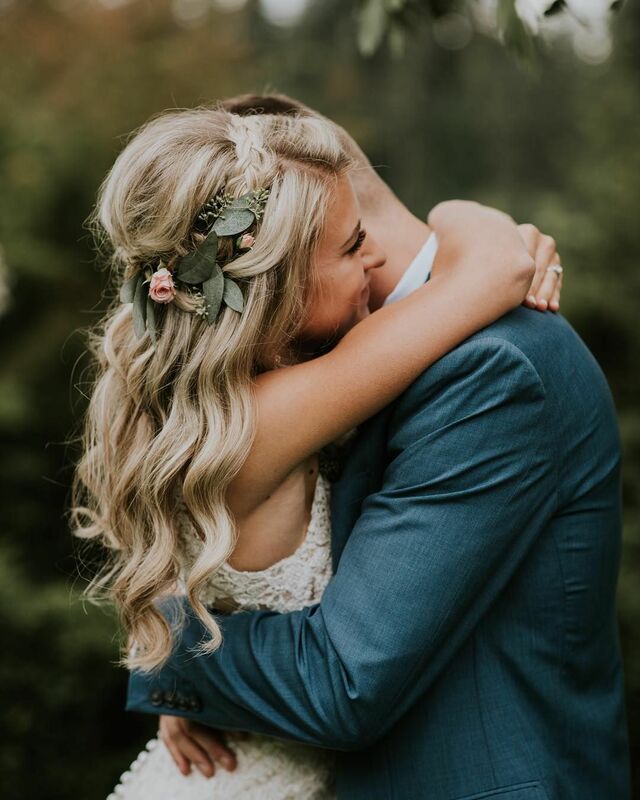 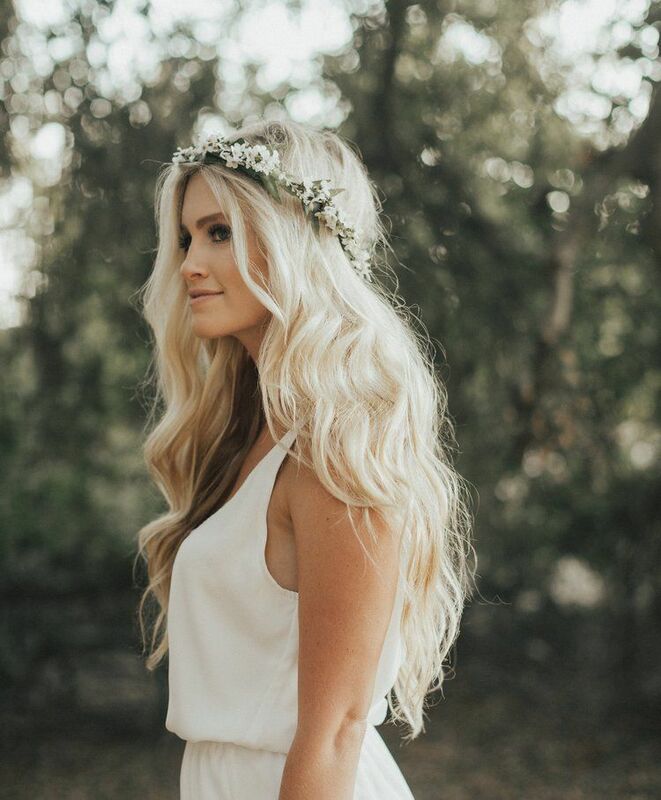 No matter what your wedding hairstyle is, half up and half down, braids, or even wavy locks, flower crowns are really good to add romance and elegance to the bridal look. 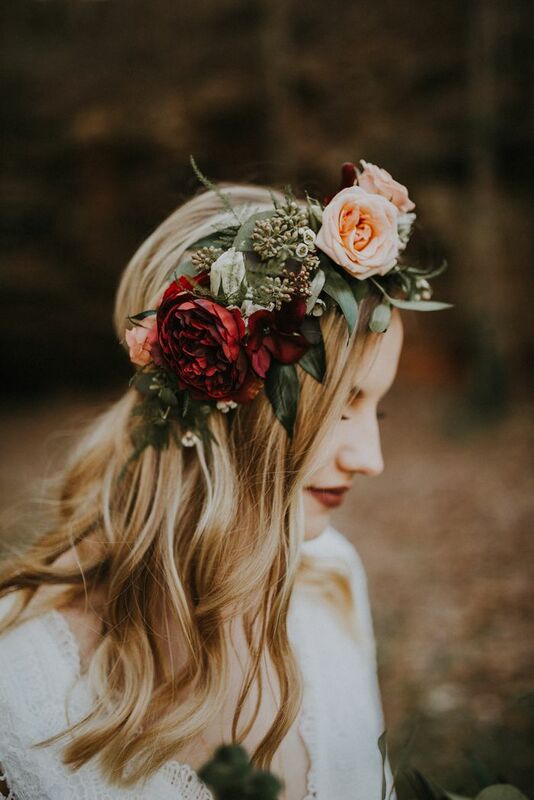 Instead of sticking to a wedding veil or a tiara, flower crowns make it possible to show the seasonal blooms more vividly. 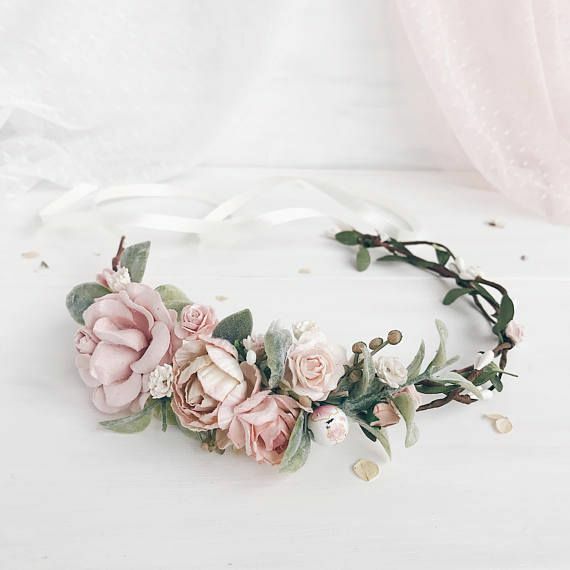 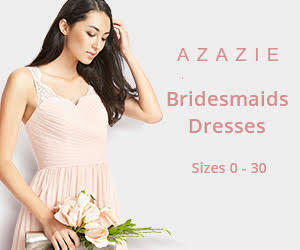 Plus, these one of a kind accessories can easily be modified according to your wedding theme. 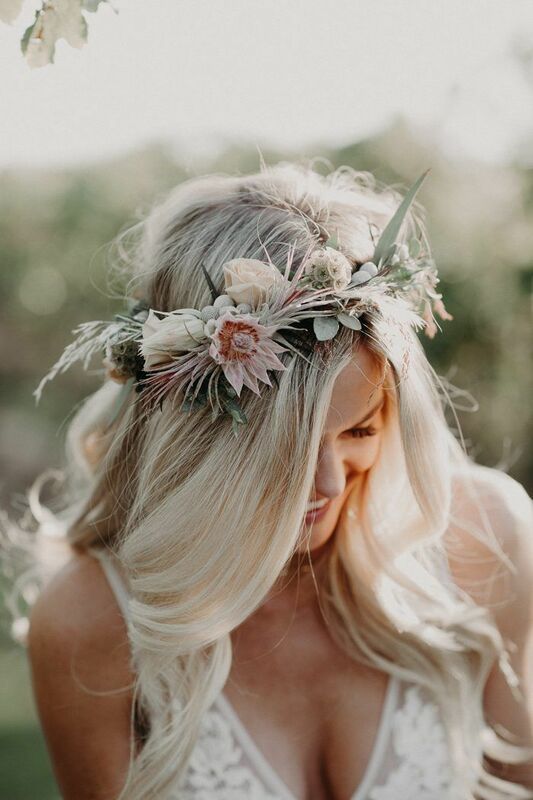 In a word, if you want to add more charm and versatility to your bridal look, floral wedding crowns definitely worth trying. 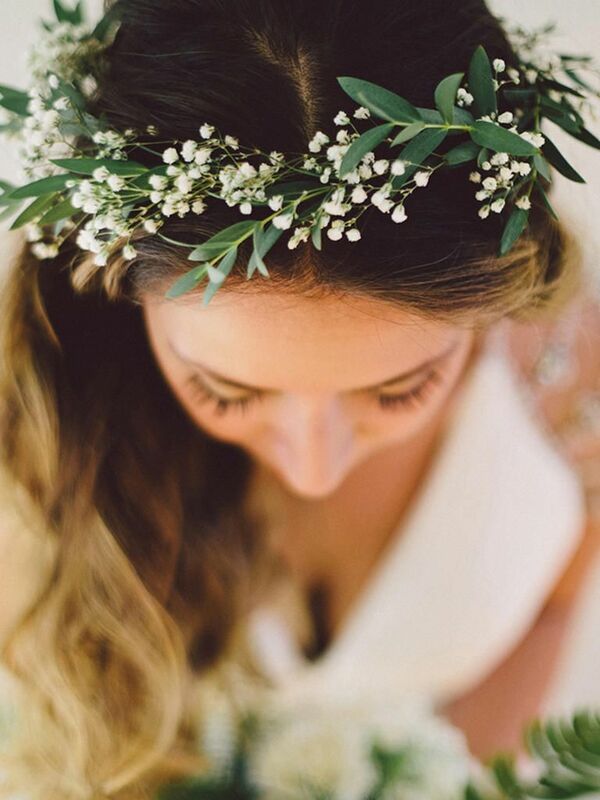 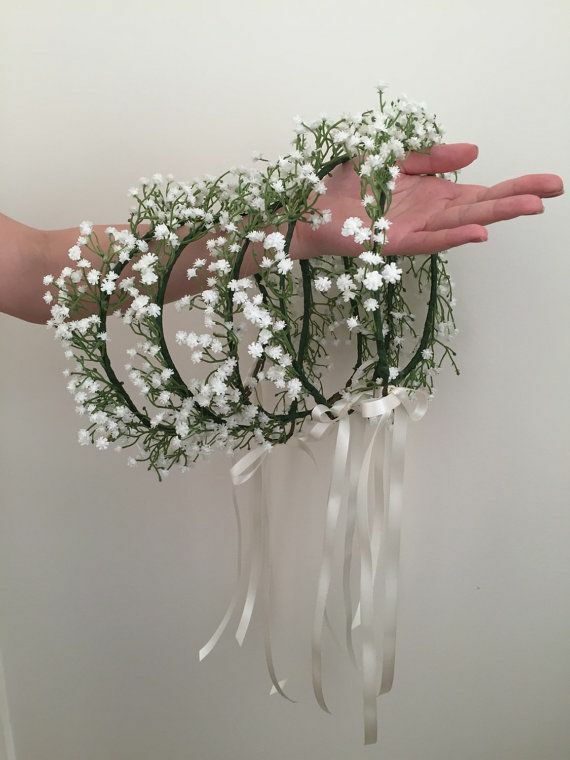 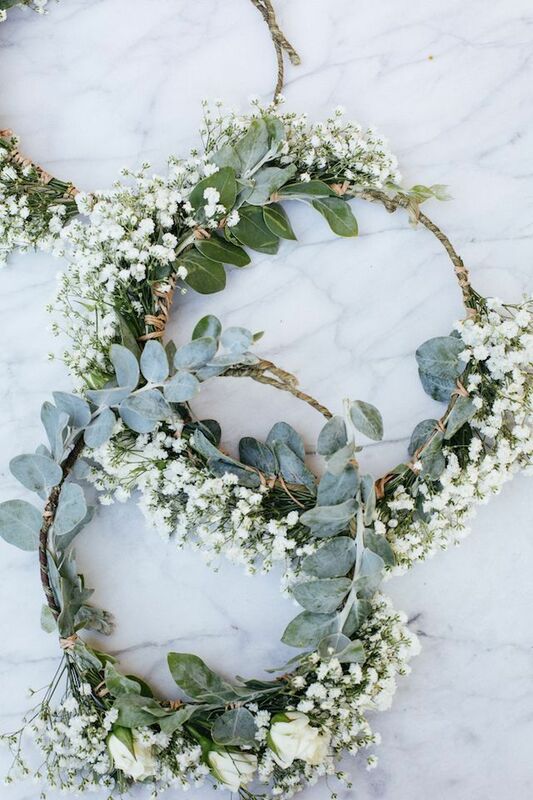 A simple crown of greenery and babys breath is about as ethereal as you can get, especially when youre all dolled up in a white gown. 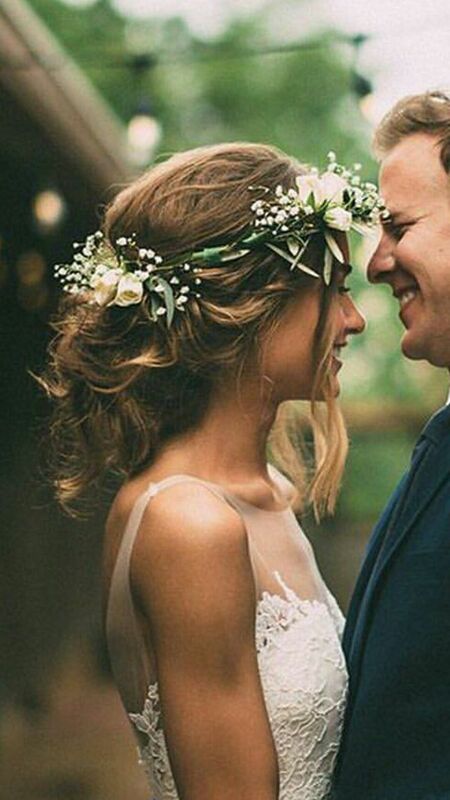 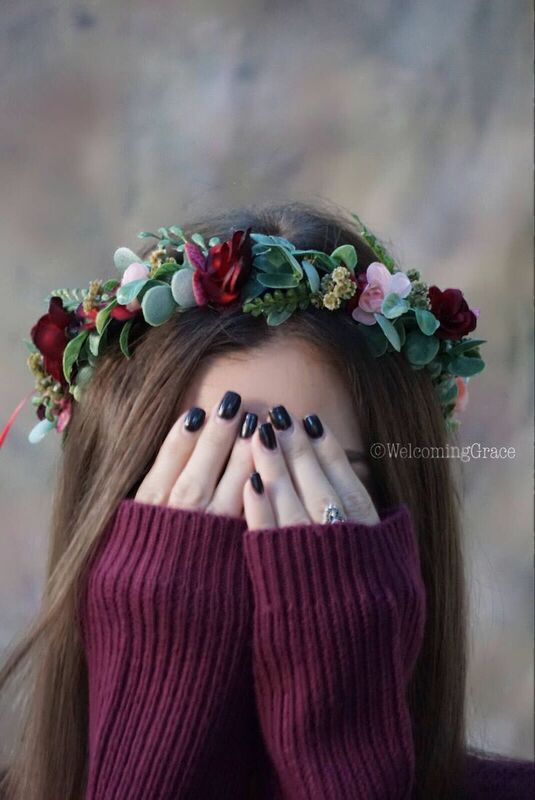 We are in LOVE with this flower crown. 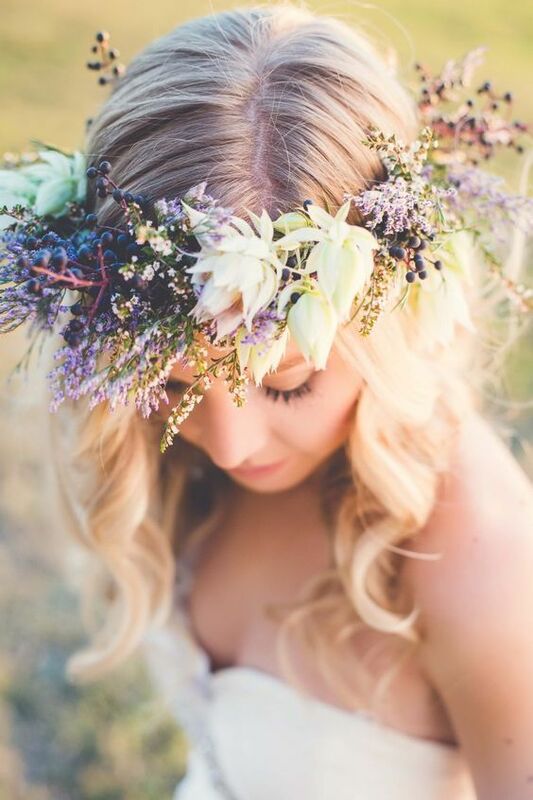 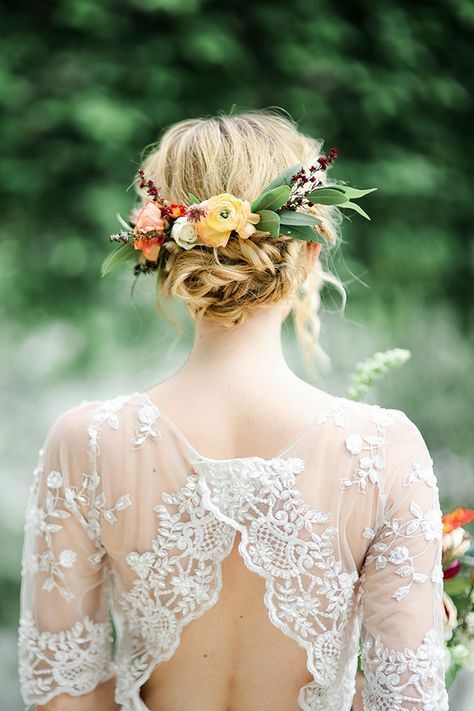 What a beautiful touch to her complete her boho look! 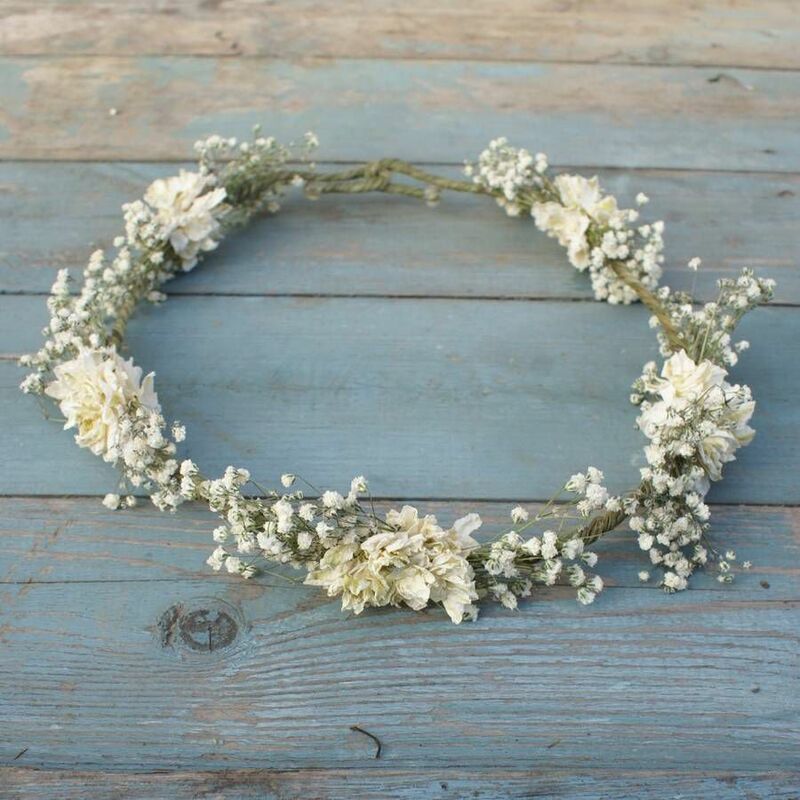 Ive just found Boho Purity Dried Flower Crown.